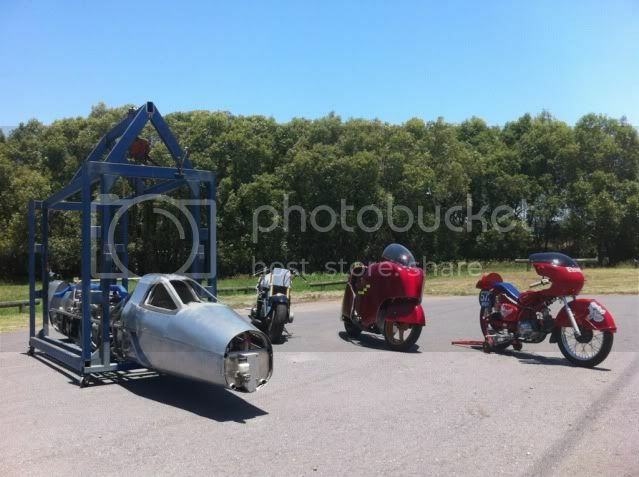 If you would like to have a technical inspection on your motorbike proir to the 2013 Lake Gairdner event..
Sunday , Janurary 13.. is the proposed date.. The event will start with the big hand on the 12 and the little hand on the 10..
bar bee que will be supplied ..
44E Milsom street Coorparoo ... ph 07 33249716..
As per the norm, I will see if some rain can be organized for the day . My body work might not be done by then but i hope to have the rest of the bike done. I'll be there to make coffee for you Ross. Will hopefully bring Dave's bike if he's got it together. Black .. 2 sugars in a half size cup..
Might have to asign someone else to that job Jon. Will need you to help with Inspection . 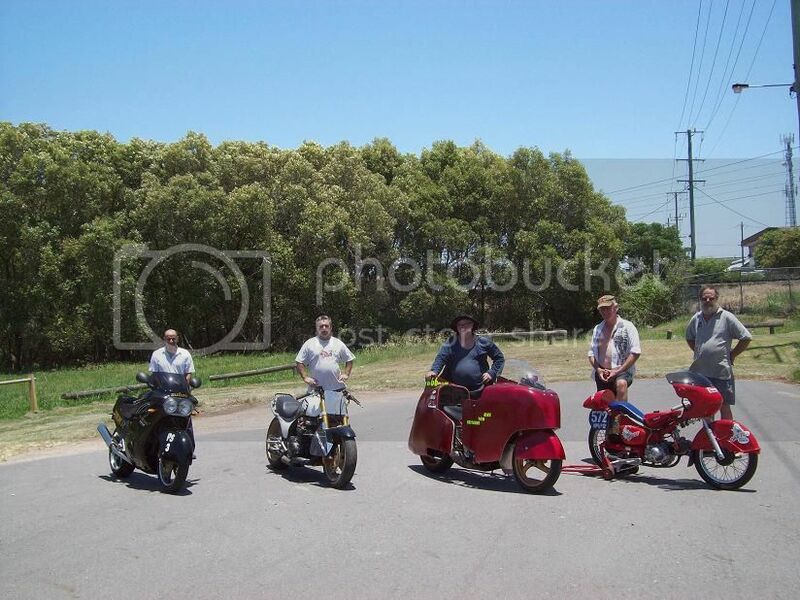 While I'm busy failing the "RED" bikes, will need you to keep the angry mob outa my face.. 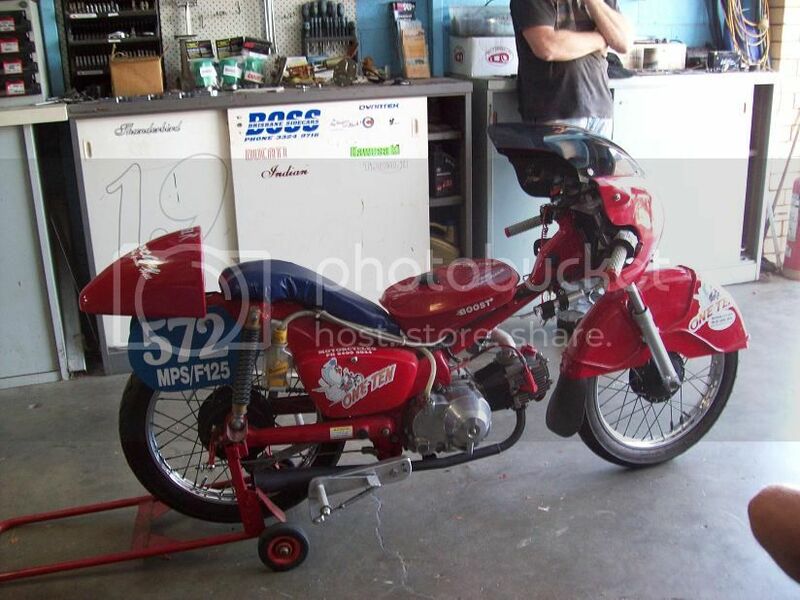 Starting : 10 O'clock This Sunday 13/01/13..... pre tech..... Motorcycle technical inspection..
Hey Ross do I pay you the money before or after Tech to get my Red Bike through. You left your bike cover and mat here... "pieces of eight" are the usual prefered payment.. I deadset hate red .... but this little honda does it justice..
As you can see by the next picture, there seems to be a bit of differencing on where the ballast weight should be placed..
Eddie... 70 kilos ringing wet ,(black suzuki ) has another 70 kilos of lead neatly tucked away ..
guard at real Tech ..... He's playing with he's widdle.. Thanks for the day Ross, no more pics? Thanks Ross, a good day had by all. Dorothy getting the once over, which one is the Wizard?? I'll call over and get that stuff, how come both the Red Bikes passed?? Any word on a tech inspection date for next year. Don't want to miss it. Finished and itching to go are ya..
Sunday Janurary 12 .. 2014..